For some strange reason there's a fascination around the world with making the world's biggest foods. 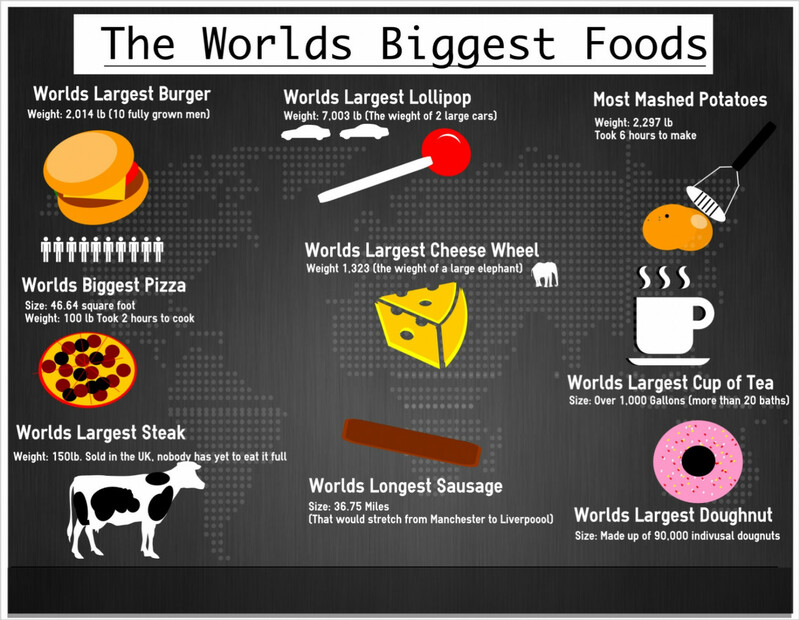 Dishes that take hundreds of hours in the kitchen and specially made kitchen appliances to produce seem to be happening more and more and this infographic from White Rose Caterers looks at a list of the world's biggest foods. Biggest batch of mashed potato comes in at 2.297 lb and took 6 hours to make, the world's largest serving of steak is yet to be eaten by anyone and the world's longest sausages shockingly stretched over 36 miles. It's a funny look at the phenomenon of giant food and even looks at the world's largest cup of tea.